The night is upon us! 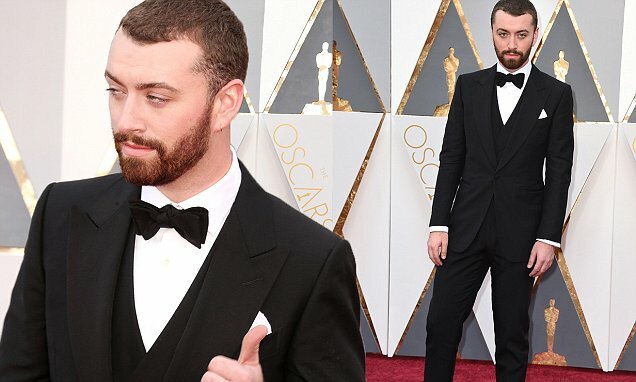 It's the 88th Annual Academy Awards; the night when Hollywood's A-listers come out and strut their stuff with some of the world's finest fashions on the red carpet - and apparently there's some award show about movies or something, and since Leo won a well-deserved little gold man, we care. We're here to bring you our best and worst dressed, as well as our best couple picks, with some colorful commentary as to why we made our choices. So sit back, grab your popcorn and enjoy the friendly fashion banter! Rooney Mara stuns again in an absolutely fabulous sheer ivory gown by Givenchy Haute Couture. This piece is perfection with its vintage styled buttons, embroidery and the classiest cutouts ever. She pairs it with an edgy double knot hairstyle and vampy makeup. I adore this whole look. It is rare to see a long sleeve gown, especially one that works, though I don’t believe one has ever worked this well! Dorith Mous stunned in a dramatic black gown that is right on point from what was trending in fashion week with the black lace. I love the gothic drama happening here to break away from the frilly, shiny and bejeweled dressed that frequent the red carpet. Though no one seems to be commenting on who its by. Perhaps it's Vintage? 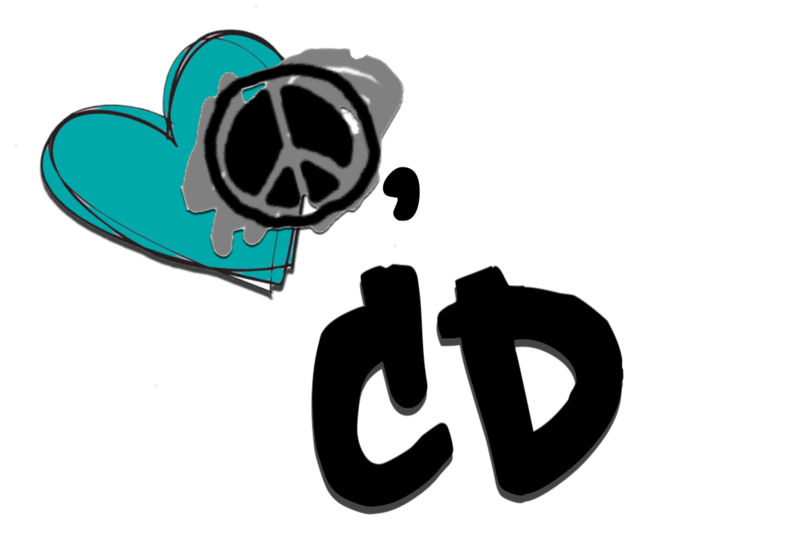 Either way it is beautiful and not predictable at all. Jennifer Jason Leigh who wore a Marchesa strapless gown in a pale blush color. This color is just so wrong for her skin tone, it completely washes her out. Though with her hair color and different undertones in her make-up it could be a great color for her. Not to mention the detailing in all the wrong places just makes her look lumpy. Two things no woman ever wants to look. Brie Lawson, who is a stunning girl - just doesn’t look pulled together in my opinion. The Gucci gown itself feels very mismatched. I think the ruffling, the cut of the triangle top part of the gown, and the strap proportion have bad symmetry, she added a chunky, over-the-top belt, with more hair jewels, and pinned back hair. I just feel none of it goes together. Perhaps with different accessories and a looser hair style this look would have worked better because it is a great color. 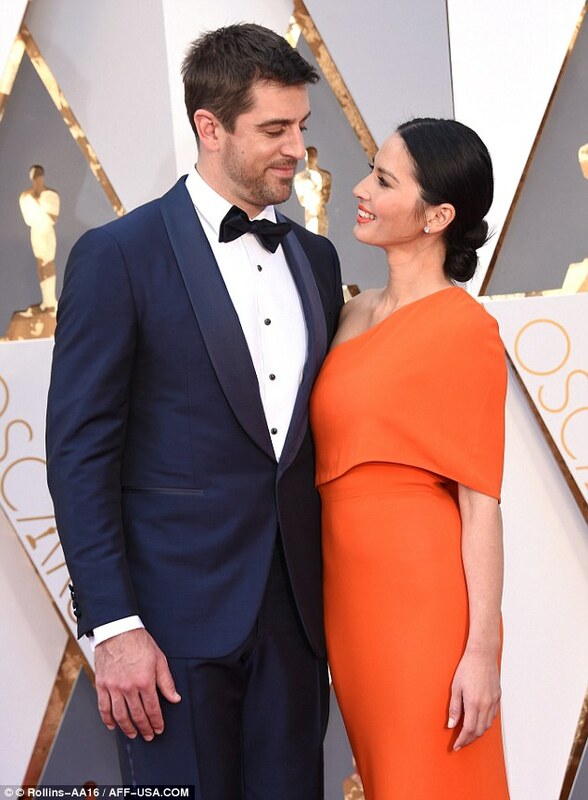 Aaron Rodgers & Olivia Munn: Now a best dressed couple is not purely about whether you love the dress or the tux, not only whether it is we perfectly fitted, but also how it all cohesively fits together, and how the looks pair as a unit. The dusty dark blue shade of Aaron’s Isaia Tuxedo and the rich tangerine of Olivia’s Stella McCartney gown is a pair made of perfection. These colors were meant to be side by side, not to mention their fit is on point. I personally prefer a little more glam for such an event, but Olivia is chic and modest at the same time, and her gown conveys that. She has it perfectly paired with the perfect orange lip color, a Jimmy Choo clutch and shoes - which is all perfectly accessorized with a chic Forevermore snake bracelet and diamond studs. Aaron accessorized with Salvatore Ferragamo shoes and Neil Lane cuff links. Heidi Klum is just a total dud in this Marchesa 'tulle of destruction.' The chiffon floral details are just unnecessary and unflattering. The opening in the top just doesn't do anything for me (fashion-wise) and while I am a fan of lavender, this dress just doesn't bring forth any emotion from me. There's just so much fabric and it's just, there. I expected to be wowed and just kind of went, 'eh.' You're Heidi Klum, for crying out loud! Chrissy Teigen and John Legend are not only possibly one of the cutest couples in Hollywood (their love for each other literally oozes from their pores, it's adorable), but they are BY FAR the best dressed couple at tonight's Oscars. Her Marchesa dress (which she had to be sewn into) is just flat out gorgeous. I could list a bunch of synonyms: elegant, exquisite, lovely, superb - they all qualify. This dress is amazing. Her hair and makeup and choice of accessories (Lorraine Schwartz jewels and Swarovski clutch), go perfectly with the look. John, not to be outdone, shows (again) that tailoring matters. His tuxedo has a wonderful shawl collar and of course a bow tie that was actually tied (this is important - a gentleman ties his own bow ties) and just has that classic, old Hollywood elegance that more modern men need to emulate. These two were a 'no-brainer' for me. 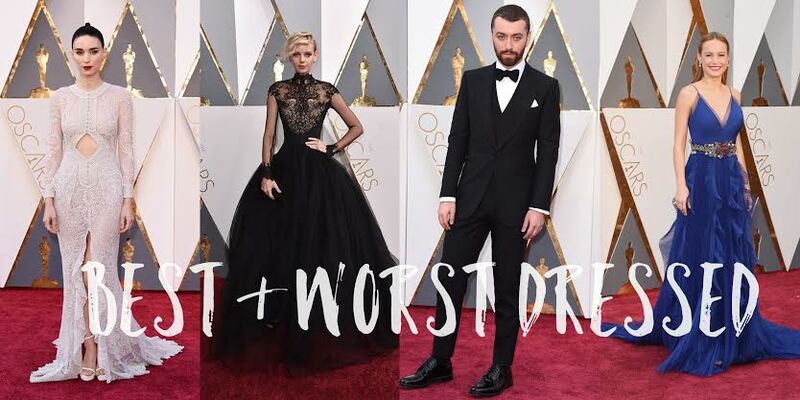 Well, there you have it: our picks for best and worst dressed from this year's Oscars. We hope you enjoyed our viewpoints, friendly banter and most of all; the FASHION!